The Battle of France, also referred to as The Fall of France, was a battle that took place during the Second World War in May of 1940. 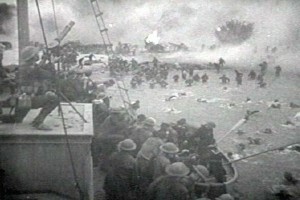 German forces invaded areas of France pushing the British Forces (British Expeditionary Force BEF) and French forces (Dunkirk) back to the sea in Operation Dynamo. The battle was organized in two separate operations: The Fall Gelb Operation, also called Case Yellow, and The Fall Rot, also referred to as Case Red. 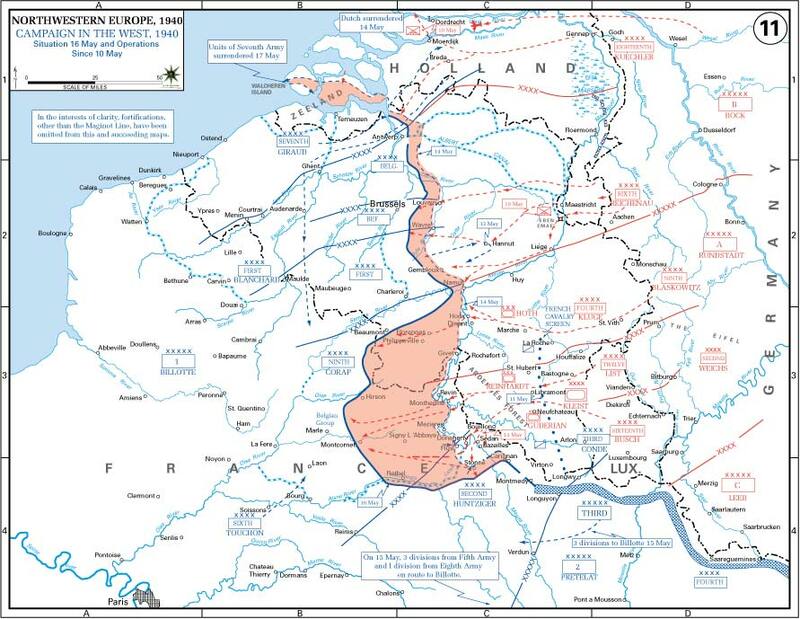 Operation Case Yellow was meant to push the French defense forces out of their stronghold territory and the second operation, Case Red, which occurred about two months later, was meant to further strengthen German’s superiority in the region. 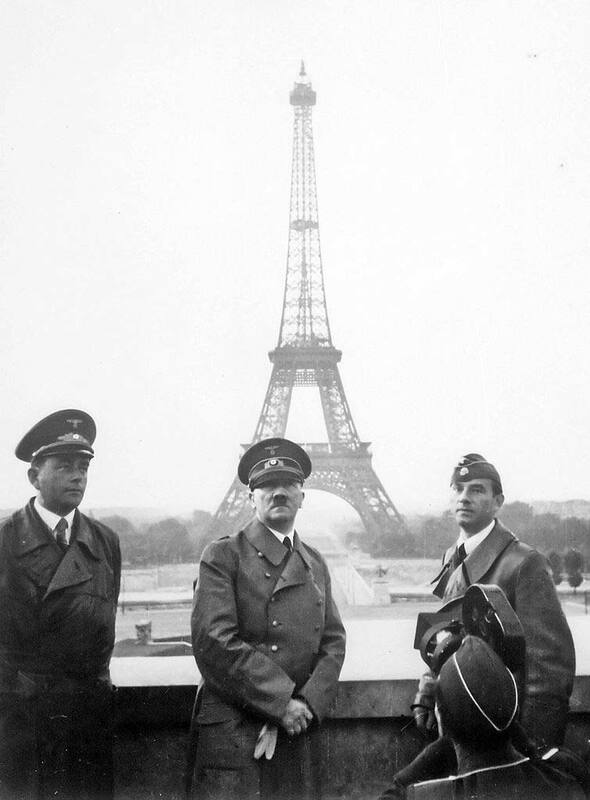 Adolf Hitler’s forces arrived in Paris on June 14, 1940 and their Generals met with French government officials who were committed to ending the war. Among the most notable French officials who, contrary to many Frenchmen’s wishes, supported the call to armistice was Marshal Philippe Petain. Almost a week later, a cease-fire agreement was signed between Germany and France, which forced France to surrender some areas to the north of its territory. Signing this deed meant that France was willing to surrender about 2 million of its soldiers, held captive by the Germans, to Adolf Hitler’s men as prisoners. There was also a provision that Italy would take control a small portion in Southeast France. The conflict leading to the Battle of France erupted during September of 1939 in Poland where Adolf Hitler had hoped that the UK and France would acquiesce to his invasion and make peace. One month later, he made some peace offers to the governments of Britain and France, who took long to reply. It is said that in less than a week after proposing the peace deals, Hitler had started drawing a war route map in case his enemies decided to forward a negative response to him. The strategy was dubbed Furher-Directive of November 6th. During his reign, Hitler had formulated major war campaigns to conquer Western Europe as a first step to taking control over Eastern Europe in a clever manner to avoid triggering a two front war. However, the Fuhrer Directive was imagined with a conservative view in mind. Hitler and his men were conscious of the need to acquire more military strength in preparation for dealing with any sort of attack from Germany’s neighbors in the future. It is said that the Fuhrer Directive was primarily meant to consolidate Germany’s military power to boost its ability to survive a long battle against the west. 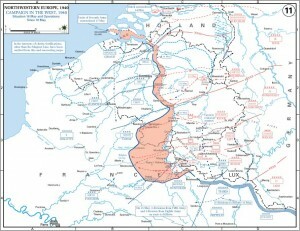 One of the primary orders of the directive was that the French troops be pushed back from all the Low Countries to minimize any chances of allied air power threatening crucial regions of Germany. The war strategy would also draw a long-term air and navy war campaign. Fall Gelb was initiated on May 10th by a team of German forces that occupied Luxembourg. 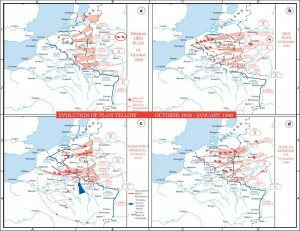 The first offensive was launched in Belgium and the Netherlands on that very night. More attacks took place early the following morning on the road to Rotterdam and at Hague. The French Forces, upon sensing danger, immediately deployed a team of its fighters towards the Dutch border. 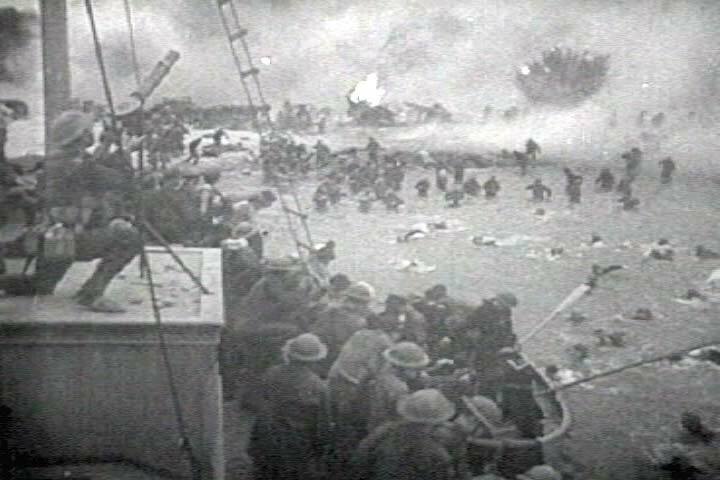 However, the power of the Germans was too superior for them and they had to withdraw into the sea. 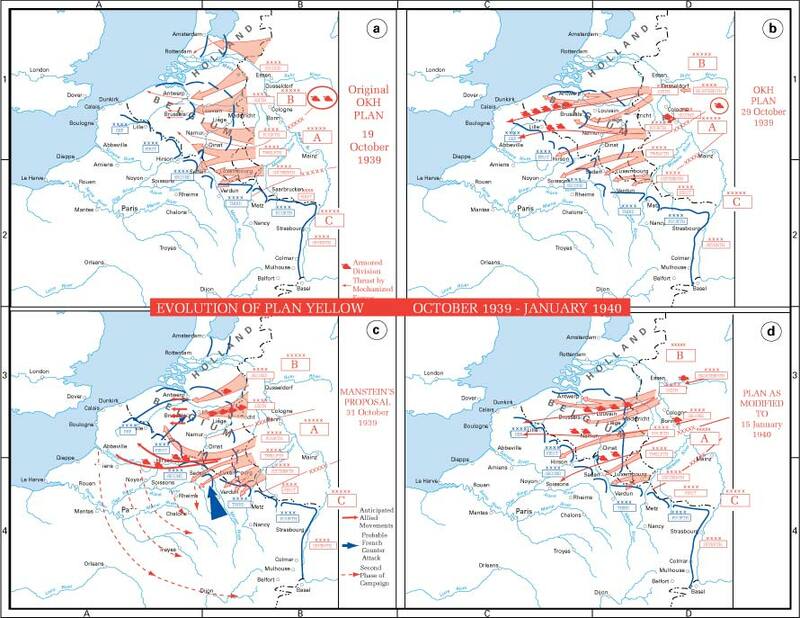 Some of the hallmark events that took place under operation Fall Gelb include the invasions of Netherlands and Belgium, the Battle of Hannut, and the Battle of Sedan. France, Belgium, and Britain came together to launch Operation Dynamo, aimed at rescuing some troops held captive in the northern regions of Belgium. The first phase of this mission was a great success as about 350,000 men were rescued with only about 40,000 French troops remaining prisoners. However the Germans still had a way of defeating their enemies. At the end of the operation, the Allied forces were heavily weakened, leaving the Germans with superior control over the region. The French forces were heavily weakened after the Fall Gelb and the Germans, upon realizing this, planned operation Fall Rot to take advantage of the situation. Hitler had, by this time, gained immense power and had even won the support of Benito Mussolini of Italy; he renewed his offensive on June 5th in the Somme. Meanwhile, the British and France faced immense resistance in their backyards. They were hard put to surrender yet most of their people reacted in a hostile manner to this suggestion. However, the pressure from the surging Germans was immense and the French government was eventually forced to yield to pressure to sign an armistice, preventing further attacks. The Germans occupied France for only two years when the allied forces began regrouping to recapture areas of France from Hitler’s control. In 1944, the British and the French launched a famous military campaign dubbed Operation Overfold meant to cut off the German’s supply lines. The operation was a huge success for the French government as the German’s started retreating backwards. In August of the same year, Paris was liberated and, by December, most of France was rescued from the Germans. Some records claim that about 27,074 German soldiers were killed during the Battle of France which saw some 580,000 French army men lose their lives. According to the Defense Historical Service, during the battle some 120,000 soldiers were wounded and about 1.5 million were captured. Further records show that some 71,000 French prisoners managed to escape and that 220,000 were set free by various treaties between Germany and the Vichy government. Britain is said to have lost about 68,000 troops in the war and Belgium some 6,000 soldiers.